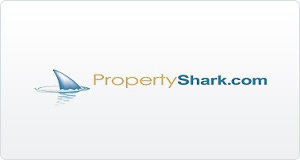 PropertyShark.com is a top property search & data portal catering to real estate professionals and home buyers alike. Covering both residential and commercial properties, the website features comprehensive property reports with valuable data and property characteristics such as year built, square footage, lot size, property class, number of units, as well as up-to-date sales history. With PropertyShark, you can easily determine when a specific property was developed, who owns it, get property value estimates, information about current zoning ,air rights, and much more.